A fantastic opportunity is available for a Consultant Ophthalmologist to work in Wales as part of a multidisciplinary team. The objective will be to provide a full range of elective and emergency ophthalmology service for residents of Carmarthenshire, Pembrokeshire and South Ceredidion, joining the ophthalmology network with 9.5 Consultants in total. This is a replacement post and comes during a period of Health Board-wide service reviews, including a comprehensive reconfiguration of services. 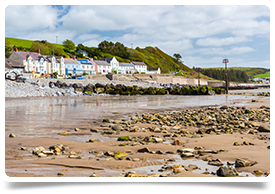 Working in a fantastic location in the west of Wales you will have the chance to achieve a healthy work/life balance, with the opportunity to explore the local countryside or take part in a wide range of outdoor pursuits - from sailing to mountain biking. This is a fantastic location for families, with affordable housing, great schools and a low crime rate. To be successful in this role you will have GMC registration with a current licence to practice and ideally be on the Specialist Register or within 6 – 12 months of achieving CCT. Although this is a full-time job, we are open to discussing part time options with candidates. Salary will reflect the current NHS pay scales. If you are interested get in touch with Allison today on allison@headmedical.com or call 0131 240 5287 to discuss further.